We offer a range of scripts to expand Twister's functionality within Ableton Live that you can download for free! By clicking on the download buttons you'll be taken to the mapping section of our site where you'll find the scripts with a full description of their functionality and install instructions. 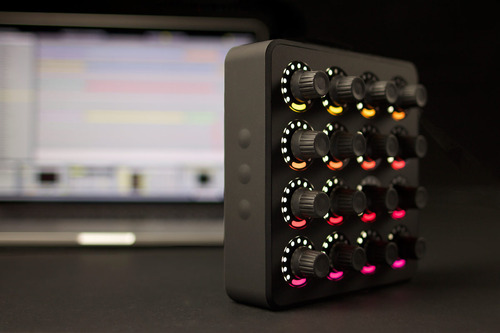 Special drum rack that emulates Twister's functionality in Traktor Pro 2. The sequencer can be used in conjunction with the other scripts mentioned in this article. This is a simple Ableton Live Script to allow Twister's bottom 8 knobs in bank 4 control any live device, effect, effect chain, or instrument which is selected (with the "device focus" blue hand) in Ableton Live.